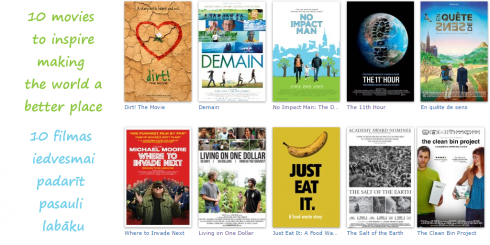 This is a list of comparatively recent 10 movies to inspire making the world a better place. Hope you will enjoy watching them! Jane McGonigal is a game designer who works at the Institute For The Future in Palo Alto. Her goal for the next decade is to try to make it as easy to save the world in real life as it is to save the world in online games. Each year, nearly 1,000 of the world’s most influential social entrepreneurs, key thought leaders and strategic partners gather at the Saïd Business School at the University of Oxford to exchange ideas, solutions and information. In 2009 the Skoll Foundation has completed a short film about the field of social entrepreneurship. Its a great overview of the progress made over the last three decades. Social Innovation Centre © 2016. All Rights Reserved.